The idea of traveling sounds like a dream, doesn't it? You get to visit beautiful places, meet interesting people, experience the beauty of the local culture, and (of course) take home some rare souvenirs. Well, at least that's what the ads always portray. Now let's put a baby in this picture. Aside from tending to all of your traveling needs, you have to consider the baby's needs as well. Birth certificate, travel documents, his own suitcase filled with clothes and diapers, his baby bottles, his large can of milk (if he's bottle fed), toys, etc. Stressful, isn't it? Well, traveling with a baby isn't a joke even if you're only taking flights within the country. You have to consider the best times to travel, the things you need to bring, the health of your baby, and who you're flying with. I've had to fly to and fro several times back when my daughter was only a couple of months old, and the stress and work that came with the task was fun yet demanding. Consider the pros and cons of the trip. As much as we'd like to bring our babies along with us in every flight, we have to consider the pros and cons first. For example, is the trip going to be a long one? If it isn't and you're sure to come back, you can consider leaving your baby with the grandparents or in-laws to save on money and stress. It's important to be practical when flying with a baby, so consider your options first before buying a plane ticket for your little one. Choose your flight schedule carefully. Don't choose flights just because they're cheaper in price or because they'll get you there sooner. Choose schedules that will give you enough time to prepare, that isn't going to disturb your baby's sleep, and that will get you to your destination on time. From my experience, flying at 4:00 AM leaves my baby very cranky while flying at 4:00 PM and later always means long delays and possible cancelations. Plan and prepare in advance. It will do you no good to procrastinate on your traveling preparation. Prepare and plan in advance what you're going to bring and where you guys are going to go. Talk to your spouse about how you two are going to share the responsibilities of handling Junior while getting your way through the airport and to your destination. Let your airline of choice know that you'll be traveling with a baby so that they can give you the best accommodations possible. Gather all necessary travel documents ahead of schedule. This is especially important if you and your baby are traveling abroad. Talk to the Department of Foreign Affairs or the travel agency handling your trip about the needed requirements to travel with a baby. Get all these things done at least a month before your flight so that you won't freak out or forget anything on the day of your trip. Visit your baby's pediatrician to check if he's capable of flying. If this is your baby's first time to travel on a plane or boat, bring him to your pediatrician and ask if he's physically capable of traveling already. Normally a baby can fly at least 2 weeks after his birth, but just to be sure that he doesn't have any medical problems that could affect him during the flight, bring him to your doctor for a check-up. Don't underestimate your baby's stomach and bladder. There were many times when I would panic and search for a convenience store just to be able to buy more water or more diapers for my baby. Underestimating how much your baby can eat and poop will only bring terror into your trip, so pack as much food and diapers as you can before leaving. 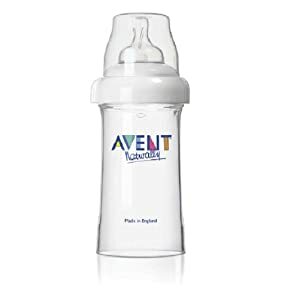 The Avent Tempo bottle is a particularly great baby bottle to bring with you whenever your traveling. Take turns caring for your baby while traveling. If you're traveling with your spouse or with anyone else, you can suggest in taking turns to care for the baby while traveling. While you're taking a quick nap, let Daddy entertain the baby with games and talk. If it's feeding time, he can mix the milk while you settle your little one on your lap. As your experience when traveling with a baby increases, you'll soon develop a system that should make traveling easy and smooth for you. You're much more in sync with your baby's needs, how his body reacts to the travel, and will be more prepared than ever for every flight. Thank you for this! while i really want kids, my greatest fear is that i'll never travel again. this gives me hope that i can have a family and travel!